Big data analytics is new to sports but not a novel concept to businesses. The collection and analysis of huge amounts of unstructured data i.e. big data to optimize performance is transforming the society. Big data in sports is no exception as increased number of sports teams across the globe are leveraging analytics to plan novel gaming strategies and evaluate players efficiently so that they can stay head of the competition. Sports teams of different games like Rugby, Formula 1, Cricket and Football are leveraging analytics to make decisions rather than watching the players play the actual game.Read on to understand how big data is changing the face of cricket through analytics. With the ICC World Cup Cricket 2015 round the corner; battle is on for the ICC World Cup 2015.The big final is between Australia and New Zealand. India and South Africa, despite their best efforts were knocked off the running, in the semis. South Africa have been branded as ‘chokers’ - as they tend to miss out on the most important matches, even though they are a top team on ICC Cricket Rankings. So how do we know this? How to experts sit and analyze who the top teams are? Which batsman has the better batting average? Which bowler has the best economy rate? All of the above questions are solved with the help of Big Data Analytics in Cricket, or more appropriately termed ‘Criclytics’. Cricket- A game, where 10 full member countries and 96 part time countries participate. ICC Cricket World Cup is the most awaited event for these participants. Cricket is played as a professional sport and has been so for the past 160 years. Data in Cricket is generated every day for 365 days. With the ball by ball information of 531253 cricket players in close to 540290 cricket matches at 11960 cricket grounds across the world - this Big Data is extremely voluminous. 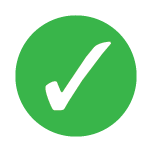 There are definitely tons of permutations and combinations of cricket data to effectively predict the accuracy of the next ball that possibly can be bowled. Can this data be accrued and analyzed to make accurate predictions for a game that is known to be unpredictable? The answer is straightforward. Using Hadoop and other big data technologies cricket data can be analyzed to the niftiest precision. Regardless of the kind of sport - the more insight you have, the more you know, the better are your chances of enjoying its success- whether you are a broadcaster, player or a die-hard fan. It is not difficult to see how much big data analysis is used in post-match reviews and in planning the game strategy for the next match. For instance, with real time Data analysis, experts were able to predict that the teams going forward to the semifinals were going to be India, Australia, South Africa and New Zealand. This prediction was based on each team’s past performances in the year. Experts had also hinted that since India had not won any of the matches against Australia in the past year, it was not likely that they would win in the semis. But we had hoped that the unpredictability of cricket will come through. Unfortunately for India – Data won again. Big Data and Hadoop technology have a perspective in various industries but they are now on the flap of targeting sports. Big Data in Sports can make a significant difference in preventing injuries, scoring touchdowns and signing contracts from coaches’ to players. Big Data Analytics providers have come with progressively more refined methods for monitoring and capturing the exponentially growing volumes of cricket data. Wearable computers , CCTV Cameras, and sensors keep a track of each and every aspect of cricket players' performance, training levels, intake of calories, interaction with fans and many more in the pursuit of 'improved performance on the pitch'. Big Data in Sports is categorized into 2 main analyses. The first category of predictions is the one in which is analytics is done to provide fun statistics that entertain audiences/viewers and the second one is performance focused analytics that helps the teams to plan in a better manner or improve a players' performance. How Big is the Cricket Data in real time? We see that a single match in World Cup Cricket 2015 generates chunks of data in the form of batting averages or bowling figures. If we take into consideration data related to a Batsmen then it will include number of balls faced, number of sixes scored, number of four’s scored, overall runs scored, strike rate and so on. Similarly, if we account for the data related to a bowler then it will include the number of wickets taken, the bowling average, number of runs given to opposing batsmen, number of balls bowled and so on. These are just the statistical data we are talking about what about the video data which shows how a batsmen has responded to a particular ball, how a ball swung in the preliminary phase of the match, etc. Thus, with the help of Hadoop and other big data technologies there is a massive opportunity to analyze these statistics and make the best cricket predictions for the World Cup Cricket 2015 that will help in taking precise decisions on and off the cricket pitch. Amitava Ghosh, ex-CTO at TaxiForSure says “While raw talent can never be replaced, data science and statistical analysis is going to help in putting together a sharper strategy for the game, just like it helps in business." 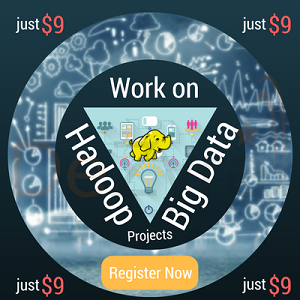 Enrol for Hadoop and Big Data Training to become Certified Hadoop Developer! How cricket data is used for analytics in World Cup Cricket 2015? The main goal of ICC is to provide real time and interesting story telling statistics to the viewers through Big Data Analytics. ICC is using 40 years of historical world cup data to give out the best cricket predictions and enhance the experience of the viewers at World Cup Cricket 2015. Predictive analytics is the secret to achieving this goal of ICC as it foretells specific outcomes for events which take place in a match by looking at the previous trends in data and considering various other variables. ESPNCricInfo has developed a tool called “Insights” with the dawn of World Cup Cricket 2015 by the amalgamation of big data analytics with cricket. Insights tool makes use of 2 decades of historical cricket data points and statistics which are plotted at the Data and Analytics Hub in Bangalore - with the intent of creating a set of products to slot in fans in this multi-screen era. With Insights tool, now Big Data Analytics can tell you the odds of the popular batsmen Virat Kohli playing in a particular zone in opposition to a left hand bowler. Isn’t that amazing? The Big data functions plot in approximately 25 different variables for every ball bowled in a match during the World Cup Cricket 2015 which are passed through an extensive analytics process complemented by historical data with the help of local cricketing intelligence of the ESPNCricInfo team. Just 7 hours before the 1 st quarter final of ICC World Cup Cricket 2015 began, ScoreWithData predicted that the South African Cricketer Imran Tahir is going to be ranked as the Power Bowler and this prediction through Big Data Analytics came true as the South African Team won the knockout match against Sri Lanka because of the outstanding performance of Tahir making it an unforgettable experience for all the cricket lovers as they take pleasure in watching World Cup Cricket . This best cricket prediction owes IBM - for its analytic innovation ScoreWithData that consists of Twitteratti Speaks, IBM Social Sentiment Index and Wisden Impact Index which provides insights to cricket fans. IBM uses Social Media in particular Twitter for spreading the word about their creative and interesting predictions. Twitteratti Speaks uses Data Analytics Engine and Social Media Data to identify and keep a track of all the highlight moments of every cricket match. The highlight of a match are identified by the prevailing reactions of the cricket fans by scanning and searching through billions of Twitter feeds and finally results are projected visually. IBM Social Sentiment Index uses real-time data streams for generating the best cricket predictions on the teams as to who has a greater probability of winning the match, who are the most talked of players. Widen Impact Index provides proportional and correlated predictions by leveraging the historical and current cricket data as the cricket match progresses. Big Data in Sports has a vital role to play in decision making in future by recording the experiences and predicting behaviors based on cricket data. If you have any of the best cricket predictions done using Big Data Analytics for ICC World Cup Cricket 2015 then do share with us in comments section below. Join Big data hadoop training and certification program taught by Industry Experts!